This shapely lariat necklace is from the Honora Geodescent collection. 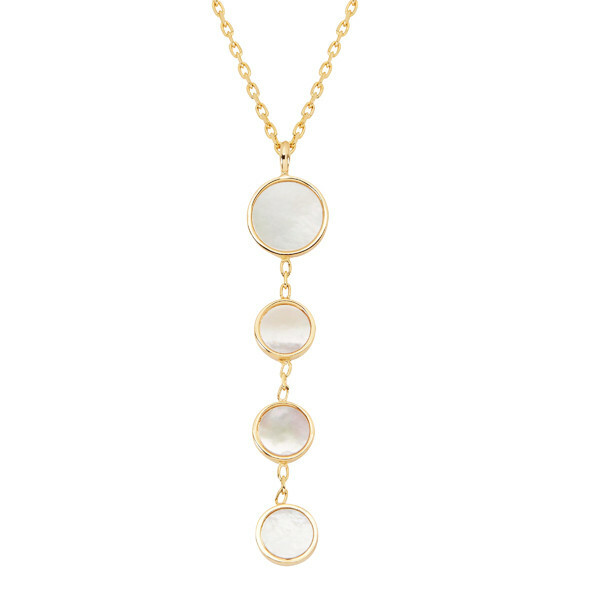 Crafted in 14K yellow gold, a large circular Mother-of-Pearl slice framed in gold hangs from a precious metal chain, with three smaller circles suspended by links beneath. This Honora geometric lariat necklace will make a great-looking and long-lasting addition to your jewelry wardrobe!